NEW YORK CITY (September 3, 2017) - SourceFunding.org founder W. Michael Short spoke today on a panel at the Brooklyn Navy Yard about his work with CUNY Medgar Evers College School of Business (MEC) to support grassroots community-based ventures and entrepreneurs. The panel, part of Brooklyn Music Week, was planned by MEC, the Central Brooklyn Economic Development Council, and community-based organization Forever My City. 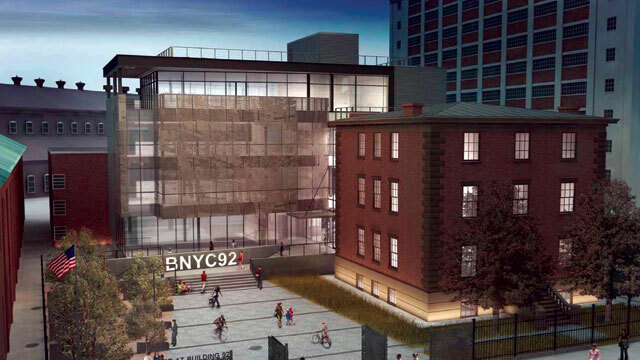 The panel was held at the Brooklyn Navy Yard Center BLDG 92, a recently renovated facility "designed to engage with the community and inspire future generations to become industrial innovators and entrepreneurs." Mr. Short spoke about financial inclusion and the launch of SourceFunding.org. He also discussed the International Innovators Initiative (IN2NYC) on MEC's campus. IN2NYC, an initiative of the New York City Economic Development Corporation (NYCEDC) in partnership with the City University of New York (CUNY), is the first municipal program in the nation helping international entrepreneurs access visas so they can create jobs in the U.S. IN2NYC is helping selected entrepreneurs gain access to the visas they need to grow their businesses in New York City, and will create more than 700 jobs for New Yorkers in the first three years alone. "Dr. Jo-Ann Rolle's strategy of creating an experiential and inclusive entrepreneurship program at MEC's School of Business is proving incredibly effective with a number of compelling success stories," said Mr. Short. "By engaging with communities locally and globally, Dean Rolle creates truly unique opportunities for her entrepreneurship students." To learn more about about entrepreneurship programming at MEC, click here. NEW YORK CITY (November 11, 2016) - SourceFunding.org, a new low-cost lending platform developed by the Global Social Enterprise Institute (GSEI) and entrepreneur W. Michael Short and backed by the Clinton Global Initiative, announced it is inviting participants in its beta testing phase. The platform has also been highlighted at the White House. The platform is using a proprietary application and matchmaking software to connect individuals, businesses and organizations with a national network of partner community banks, credit unions and economic development organizations. SourceFunding will generally serve small businesses and “non-traditional entrepreneurs” still struggle to get access to low-cost capital along with real-time technical assistance. Can SourceFunding.org Level the Playing Field for Entrepreneurs? 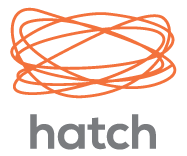 Pictured: Janet Davas, founder of Hatch consultancy. Excerpt from 11/4/2016 article by Janet Davas at Hatch consultancy.